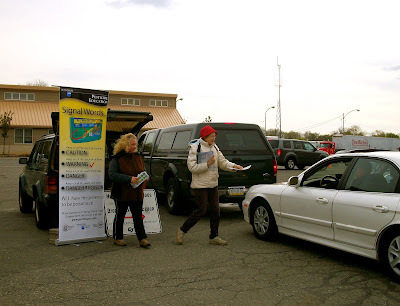 Volunteers recently have kept the public informed at two events where we set up information tables and also at the Hazardous Waste drop off sites in Philadelphia. 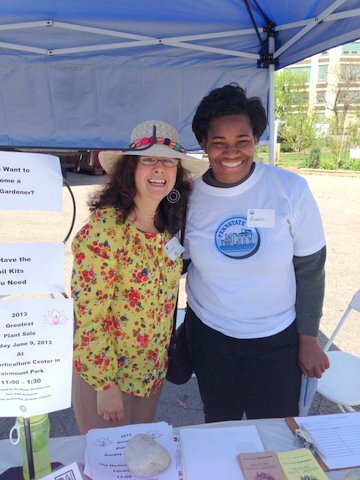 Our information table at the Philly Farm Fest and the recent Penn State in the city event had volunteers speaking to attendees about our program and gardening questions. 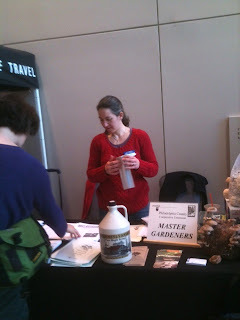 We also had publications from the Extension on hand to distribute to those wanting information on everything from organic vegetable growing to lawn care. 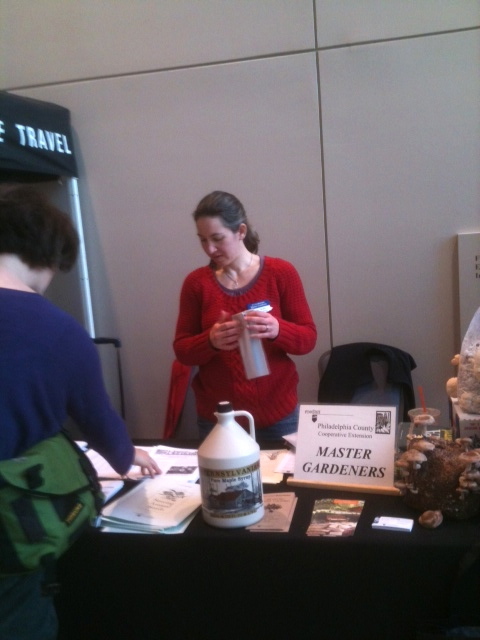 Diane Olesik and I both volunteered for this event as Master Gardeners for Philadelphia County. As usual, it was a very engaging and informative event. What started out as one-lane entry into the facility became two working lanes with a 45-60 minute wait, backed up lines, and Philadelphia Police directing traffic. We used this time to speak to drivers and their passengers about pesticide safety, Penn State Extension, reading labels, etc...while distributing the pest ed literature as they passed us in line. The public very much appreciated our assistance and information.